The Laughing Dogs at their most spontaneous live recording session ever: 22 songs that were recorded as they were being created. No, it's not songs like "That's Amore" and "O My Papa". These are original songs that came out when the Laughing Dogs decided to record an album in one take, in 1992. 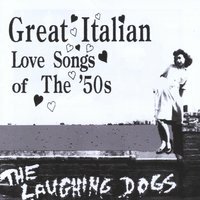 This CD features one full hour of The Laughing Dogs at their most spontaneous live recording session ever: 22 songs that were recorded as they were being created. This is the real thing! It's intimate, funny, hard rockin', melodic, sick, and extremely well done. (It even comes with Italian recipes.) No rehearsal and all first takes make this a one-of-a-kind for The Laughing Dogs. Guest artists include Artie Lamonica (of The Shirts), Young Jim (of Lick the Devil), and Popa Chubby. Can be compared to the Beach Boys' "Smile" album.